Hurry over to The Children's Place for these hot deals!! Right now the entire site is up to 60% Off and Shipping is FREE! My kiddos need some new clothes for the summer so this sale is perfect! I am snagging this Boys Short Sleeve 'Red, White &amp; Blue' American Flag Aviators Graphic Tee for only $3.99 (Retail $10.50)! 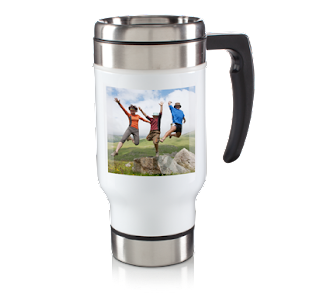 Right now save 50% Off Everything Photo at Walgreens! Perfect for Father's Day and Graduate Gifts! Use code ALLONSALE at check out to receive discount! Choose pick up in-store when available to save on shipping costs! Print these new coupons and snag these new rebates before they are gone! Save $3.00 on ANY ONE (1) Nexium® 24HR product.Expires 8/14/2016.Save $3.00. Save $1.00 on any ONE (1) CITRUCEL® Fiber Product.Expires 7/31/2016.Save $1.00. Save $1.00 on any ONE (1) Gaviscon® Product.Expires 7/31/2016.Save $1.00. Save $5.00 on ONE (1) Nicorette® mini Lozenge 81ct, Nicorette® Lozenge 144 ct, Nicorette® Gum 100ct or larger or NicoDerm® CQ® 14ct or larger.Expires 7/22/2016.Save $5.00. Save $1.50 on any ONE (1) Biotène® product.Expires 6/22/2016.Save $1.50. Save $1.50 on any TWO (2) TUMS® Products (32ct or larger).Expires 6/19/2016.Save $1.50. Save 50¢ on any ONE (1) Hellmann's® or Best Foods® Mayonnaise Squeeze (20oz. ), Jar (30oz. ), Organic (15oz.) or Carefully Crafted (24oz.) product..Expires 6/18/2016.Save $0.50. Save $1.00 on any ONE (1) GARNIER® FRUCTIS® Styling product (excluding trial size 1.7oz, 2oz, &amp; 3oz).Expires 6/4/2016.Save $1.00. Save $1.00 on any ONE (1) GARNIER® FRUCTIS® Shampoo, Conditioner, or Treatment (excluding trial size 1.7oz, 2oz, &amp; 3oz).Expires 6/4/2016.Save $1.00. Today only get this Magic School Bus Space Lab or Human Body Lab for only $24.99 (Retail $39.99)! Ms. Frizzle and her students take Young Scientists on a wild ride with The Magic School Bus as they explore Space. Young Scientists will use the included specialized astronomical device called the Star Pilot to locate constellations both on the star ball and in the night sky. Fun and exciting experiments and activities include making a constellation box, learning about the life cycle of a star, making a solar system mobile, creating a planet poster, making a night-vision flashlight, and much, much more! 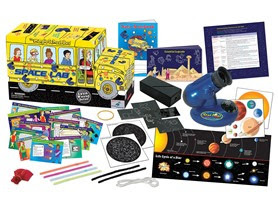 This inquisitive bus-shaped kit comes packed with science components for the experiments and activities, 20 colorful instruction cards, a 16 page booklet on constellation myths from all around the world, a data notebook, poster and the unique Star Pilot. Seatbelts, everyone! Get ready to navigate the sky with Space Lab! Ms. Frizzle and her students take Young Scientists on a wild ride with The Magic School Bus as they explore the fascinating world of the human body. Young Scientists learn about the anatomy and physiology of the different organ systems through lots of fun and creative experiments and activities such as recreating the human body with cling-on window stickers, building a 17-inch plastic human skeleton, matching fun facts on a poster, making a lung model, measuring a pulse, dilating pupils, exploring touch receptors, finger printing, learning about teeth enamel, making a ball and socket joint, and much, much more! This entertaining bus-shaped kit comes with components for the experiments, a poster, sticker sheet, 20 colorful experiment cards, and data notebook to record observations. The highlight of this kit is the large plastic human body skeleton that Young Scientists will put together, label, and display. Seatbelts, everyone! Get ready to explore the Human Body!. TRX is one of the most popular classes at my gym! 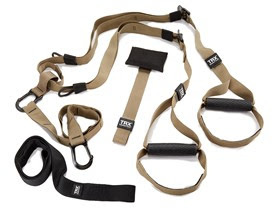 Today only snag this hot deal so you can strengthen your body at home, TRX Suspension Training Kit only $129.99 (Retail $224.95)! The TRX Outdoor Gym is a versatile outdoor training tool that can be set up almost anywhere and offers over 100 exercises that scale from easy to intense for total body workouts.